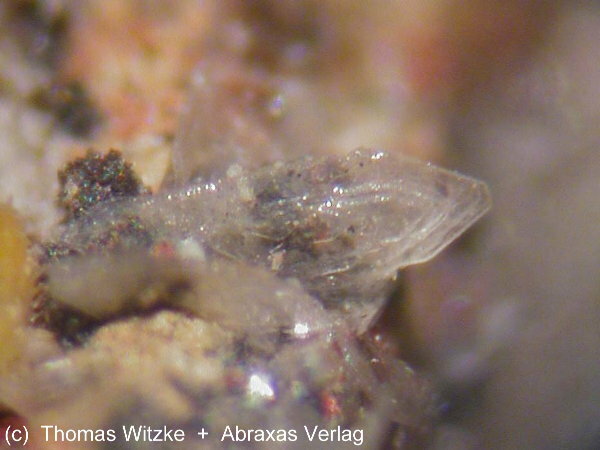 Peretaite: Mineral information, data and localities. 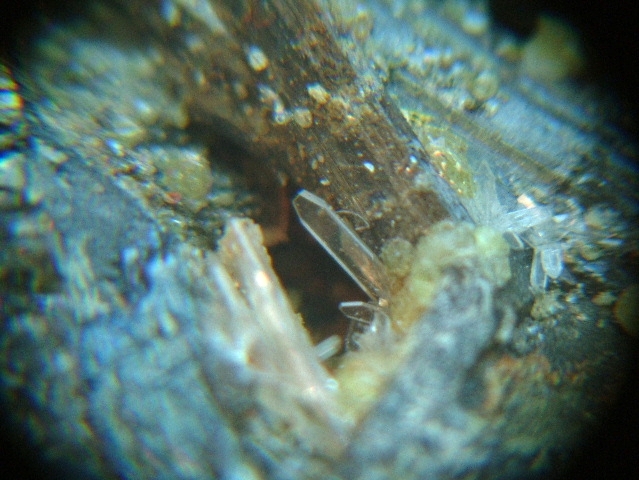 This page provides mineralogical data about Peretaite. Divergent sprays of laths, botyroidal, massive. Cipriani, N., Menchetti, S., Orlandi, P., Sabelli, C. (1980) Peretaite, CaSb4O4(OH)2(SO4)2·2H2O, a new mineral from Pereta, Tuscany, Italy. 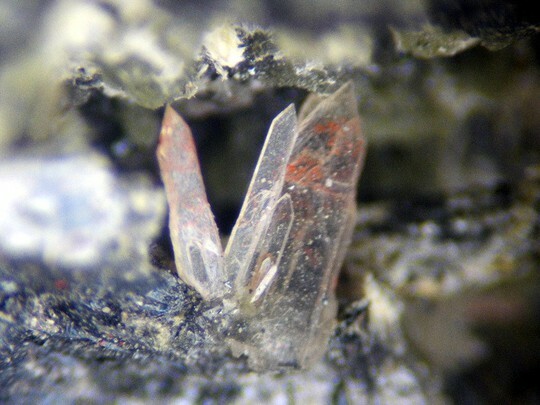 American Mineralogist: 65: 936-939. Klebelsbergite 13 photos of Peretaite associated with Klebelsbergite on mindat.org. Stibnite 8 photos of Peretaite associated with Stibnite on mindat.org. Kermesite 3 photos of Peretaite associated with Kermesite on mindat.org. Metastibnite 2 photos of Peretaite associated with Metastibnite on mindat.org. 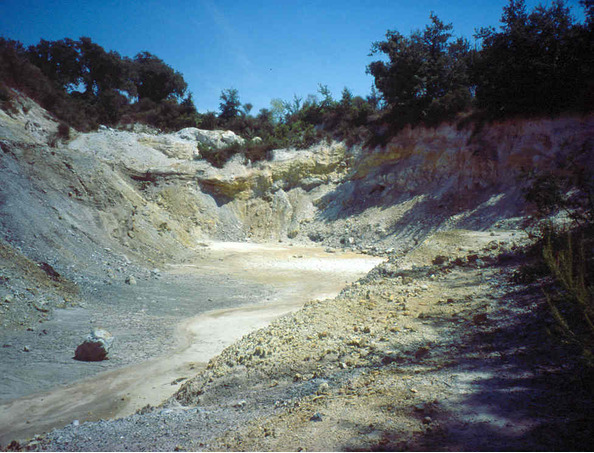 Sulphur 1 photo of Peretaite associated with Sulphur on mindat.org. Tripuhyite 1 photo of Peretaite associated with Tripuhyite on mindat.org. Quartz 1 photo of Peretaite associated with Quartz on mindat.org. Menchietti, S., Sabelli, C. (1980) Peretaite, CaSb4O4(OH)2(SO4)2·2H2O: its atomic arrangement and twinning. American Mineralogist: 65: 940-946. Majzlan, J., Števko, M., Lánczos, T. (2016): Soluble secondary minerals of antimony in Pezinok and Kremnica (Slovakia) and the question of mobility or immobility of antimony in mine waters. Environmental Chemistry, 13, 927-935. The following Peretaite specimens are currently listed for sale on minfind.com. Cipriani, et al (1980); Am.Min. :65:936(1980); Min.Rec. :15 (1): 19-26. Nannoni R., Capperi M., 1985. I minerali della "Sorgente Solfurea" di Micciano (PI). Quad. Mus. Storia Nat. Livorno, 6: 11-25.; Duchi G. (1983) - Il deposito antimonifero di Micciano(Comune di Pomarance, Pisa)- Atti Società Toscana di Scienze Naturali - Memorie, serie A, 90, pp. 141-163; Bardi, T., Biagioni, C., & Orlandi, P. (2009). Aggiornamento sui minerali della Sorgente Solfurea di Micciano (Pomarance, Pisa, Toscana). MICRO (località), 1/2009, 261-276.